Here is a list of suggestions of what you can do to help improve our safety against the risk of nuclear disaster in our communities. Follow this website. Enter email address on right column of this screen. Contact us if you would like to be more involved. Search official federal publications from all three government branches − GPO Federal Digital System (FDsys), e.g., Federal Register. U.S. Senate Committee on Environment & Public Works has Senate oversite of the Nuclear Regulatory Commission. CA Senator Barbara Boxer is the current Chairman. California’s Policy on TRU Waste Shipments: Since 1989, California’s Governor designated the California Energy Commission (Energy Commission) as the lead state agency for planning the proposed DOE shipments of TRU waste in California. The Energy Commission is responsible for coordinating activities of other state agencies that will be involved with the WIPP shipments. These agencies include the California Highway Patrol (CHP), the California Emergency Management Agency (Cal EMA), the California Department of Public Health – Radiologic Health Branch, the California Environmental Protection Agency, the California Department of Fish and Game, the California Department of Transportation, and the California Public Utilities Commission Rail Safety Branch. The Energy Commission and these agencies have prepared several background papers and provide comments on WIPP transportation safety issues and policies. Along with ten other western states, California has been actively involved since 1989 in the efforts of the Western Governors’ Association (WGA) and DOE to cooperatively develop a comprehensive safety program for shipments to WIPP. New Mexico and Idaho co-chair the WGA Technical Advisory Group for WIPP Transport. As part of the WGA-DOE safety program, the Energy Commission has coordinated California’s input to federal plans and policies for these shipments. The Energy Commission has prepared background information to inform Californians of DOE’s shipment plans, the WGA WIPP transport accident prevention and emergency preparedness program, and California’s issues and concerns. CPUC I1210013 Proceeding −Steam Generator Order Instituting Investigation (OII) documents, rulings, etc. − who pays and how much? “I don’t have to answer your goddamn questions. 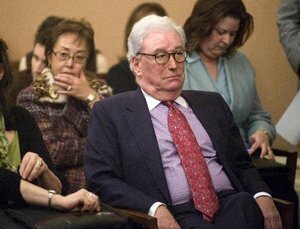 Now shutup..”, CPUC President Michael Peevey responds when Attorney Michael Aguire questioned the settlement and what Peevey knew. See related story at UTSanDiego. It is the public policy of this state that public agencies exist to aid in the conduct of the people’s business and the proceedings of public agencies be conducted openly so that the public may remain informed. Cal. Gov. Code § 11124.1. (a): Any person attending an open and public meeting of the state body shall have the right to record the proceedings with an audio or video recorder or a still or motion picture camera in the absence of a reasonable finding by the state body that the recording cannot continue without noise, illumination, or obstruction of view that constitutes, or would constitute, a persistent disruption of the proceedings. Action plan with nukefreecal a new phone campaign to Governor Brown no relicensing of Ca nuclear power plant’s 916- 445-2841 gov.ca.gov/m_contact.php call today and often. One of the reasons to encourage them not to relicense is that neither of these two plants could be built under today’s rules and guidelines for earthquakes and tsunamis, and the NRC will not force them to meet the standards of today but yet they will overlook and easily relicense them. Please share this with your friends and call 3 times a week or more. I had worked at SONGS for 5 years in a technical field and pointed out safety concerns and became attacked. What I can say is that the radioactive issue is not the only concern as I was witness to other ‘dumps’ into the ocean that nobody knew about. I exited the plant while I was still young to get a new start away from the hell within.